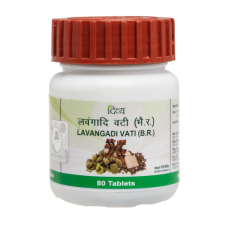 Divya Lavangadi Vati is an ayurvedic product of Swami Ramdev's Patanjali Ayurved and Divya Pharmacy. 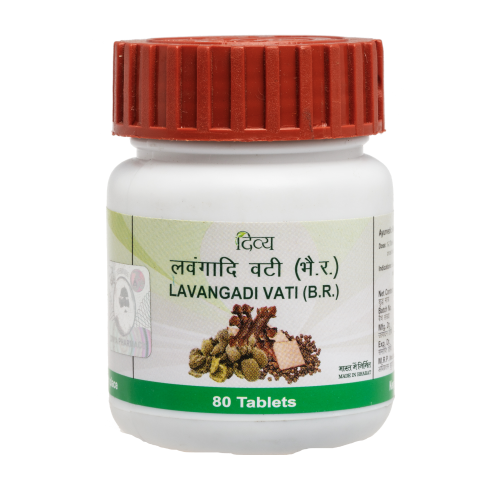 Lavangadi Vati is ayurvedic medicine in tablet form used for treating upper respiratory infections like cough, congestion, cold and allergic respiratory conditions. It is demulcent, anti-inflammatory and expectorant in action. Clove is the main ingredient of this medicine. Clove has Kapha dosha balancing, antispasmodic, antiseptic and carminative properties. Dose: 1-2 tablets thrice daily chew or with lukewarm water or as directed by the physician.